Calfee design was really the first on the scene. 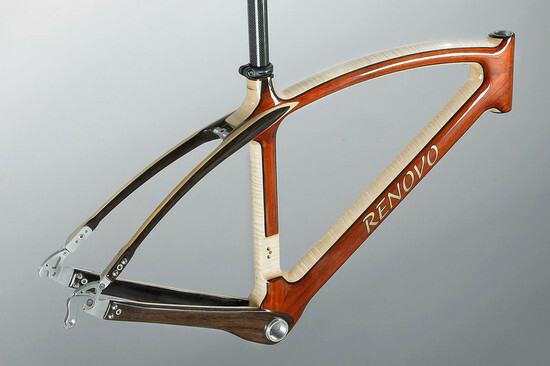 Renovo takes it to the next level with bamboo composite & wood frames as well as hardwood racing frames. Sure they’re expensive but they only weigh 16 pounds and they are works of art… So if you have the cash. Go for it. 39 responses to this post. Hi Phill, great article and comparison, theres also Mauselli, Threepenny, Sylvan had a nice one, BME, bamboocycles (Mexico), Human, the new one in Alabama, and more every week. I met your 2 sons in Austin at NAHBS this year. I’ve seen you working, on youtube. I like your style, and your product. I’m a Kiwi (NZ) staying in Thailand, in a quiet country town down south, and I’d like very much to build a road bike frame for use here. Would I be able to purchase some treated bamboo and other parts such as S.Head, B.Bracket, dropouts for int.gear hub, from you please? I know I can do a very nicely finished hand-built product myself, and I’m looking for some quality materials to start my first bike. If you could, please reply to Mattwellness at Gmail.com. I’d really appreciate that. I am sorry Matt, I don’t sell any materials at this moment. There is quite a bit of information about where to source materials on the site however. If you run into any new sources in NZ let me know and I can share the information with everyone. Good luck and have fun! My name is Martika Jenkins and I am an undergraduate student. 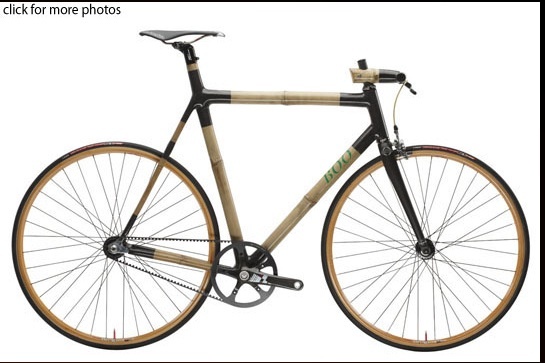 I am working on a research project for bamboo bikes and am looking for people that have experience building and riding them. This is the first time that I have heard about bamboo bikes and would just like to learn about your experience and how you first heard about them. I would really appreciate your time if you would talk with me, my email is mjenkins2@babson.edu. great blog thank you for that. 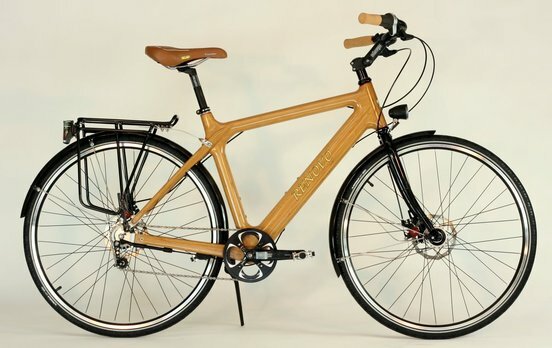 What is the cost of making your own bamboo bike? Wow… thats a good question. Its hard to say since a large amount of my effort went into experiments, mistaken orders etc. I would assume that if you have all the tools necessary, and you keep things simple (single speed) you could put together a bike for 400-500 dollars. If you are buying used parts (chopping up a brooken bike, etc) it could be as little at 250-300, but its hard to imagine getting the price down much more than that for a fully built bike. Tools, of course, cost lots of money. If you live in an urban area look into tool lending libraries. Free tools! Hope that helps. The bikes look nice, just a few areas/ questions commonly on the minds & hope to clarify herein. 1. Wet weather & bike’s geometry deformation? 2. Useful life of the organic bike? 3. Racing/ training usage style, can the frame stands the usage mode? 4. How reliable are the joints of bamboo to the lugs? 5. Estimated completed bike weight with say Dura ace groupset & wheelset for a road bike. 6. Are you willing to tailor built to measures? if so, at what price & delivery period. Generally, people like me likes to have your bamboo or wood bike as for semi training or week ends ride usage with a balance of bike reliability, cost & weight in mind plus off cause the nice feels of riding a classic art works. Thank you for the reply. I felt more confident after learning the reply. Will send an email enquiry to Nick on purchasing on Boo road bike, make to measure with customized wordings, perfectly with my name printed on will be nice. Thanks for keeping the discussion on bamboo bikes rolling. Allow me to answer your points below. There is absolutely no deformation due to weather, my bikes are as stiff as any bike out there, however they do absorb the finer vibrations that cause discomfort on an ultra stiff bike. Ten to twenty years, much longer than most people stick with one bike anyway. Absolutely! Boo bikes are race ridden by numerous professionals in Cross, Road and MTB. Nick Frey, Tyler Wren, Esteban Chavez to name a few. 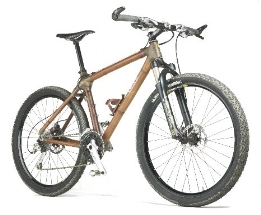 Fist place finishes in the Miami Veulta, Crusher in the Tushar (First place overall and first place single speed), other podium and notable finishes have been taken on bamboo bikes made by Boo. The lugs are stronger than most carbon bikes and the tubing does not bend and stay that way like metals do. It bends and then returns back to its original geometry. A bamboo frame will be more usable than any other frame du to the fact that it will not shatter or bend, but will flex and return. (Think fishing pole). We have had numerous reports of heavy crashes that totaled the wheels and forks, but the frame was dead straight afterwords. Coming in at 15 to 16 pounds is easy, less is even possible. Hi, I’m a director with a UK based brand making tested mountain bikes with more models to follow in the future. The design was developed by Oxford Brooks University and has had a lot of research. We think our bikes are about the best out there, they’re not the cheapest as there are no corners cut, but they’re by no means the most expensive either. They’re manufactured in Yorkshire & available to UK & worldwide. 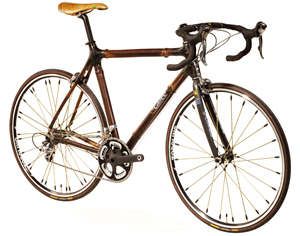 They can be ordered direct from the website & Edinburgh Bike Coop will also be stocking bikes & frames from February 2012. Check us out on Facebook and Twitter as well. I like the concept of the organic bikes metal joints setup. I’ve just started my own bamboo bike project based on your (and other’s) instructions, but it seems to me that making the fiber-epoxy joints is quite a lot of work if you are using an old frame anyway and could use the steel or aluminium joints (not applicable of course to those building from scratch using a jig and so on). What are your thoughts on fiber-epoxy joints vs metal joints such as the organic bikes photo above? How do they bond the bamboo to the metal tubes? I can’t really say I have experience with bamboo to metal bonding without fibers of some sort. I would assume that you would need the metal submerged into the bamboo at least 2″. It might be as simple as bonding with epoxy, although I really can’t be sure. Just remember to do all the metal/epoxy prep as I discuss on the site. Good luck! Hi my name is Jason; I am a student at Constantia Waldorf School, currently in grade 11. We are assigned a 10 month projecting with very little boundaries to what the project must consist of other than to diaries our process as well as the history of the subject that we are to choose. The purpose of the project is to challenge once self, and grow by overcome the obstacles that we face through out the project. Creativity is always encouraged. Previous projects have been to obtain a pilots license, restore a car, write a book, learn sign language and build a house. I have chosen to construct a bamboo or wooden bike. There is one problem; I have been unable to find a company in Cape Town, South Africa that would be able to help to build my own beautiful bike. If you would be able to help in anyway or even point me in the right direction I would be most grateful. Thanks for contacting me. Could you send some more info about your business? Do you have a website yet? I’d be happy to share what you are doing over there. We are an established company here in Ghana West Africa for the sole purpose to bring awareness of green products ie, environmentally friendly products to the African continent and to the world. We have started production in adopting Bamboo to produce Products such as Bicycles for the local and foreign market, we are currently shipping frames and bikes to the foreign markets depending on the specs that are given to us. We are producing the following set of frames for export as well as the local market: Ladies Bikes, Mens Bikes and Carry On Bikes. Our Plan in the future is to expand our production to include mountain bikes, as well as using bamboo for finishers, and creating a new set of line for bikes for kids as we open up the market in Africa and the world. However; if you have any request or demand or know anyone who would be interested, kindly let us know. Our factory can produce well over 200 bikes a month to meet your demand. We are putting up a well defined website as soon as possible and we will keep you informed when it is live for you to visit. Great sounds like a great project. Feel free to send some photos of your bikes too! I’d like to surprise my boyfriend and buy him a bamboo bike frame. He is a serious rider and I know nothing about the bikes. I know the size of the bike he rides and I know he’d love to have a bamboo road bike (multi-gear). How do I do this? Please help! Many thanks. There are quite a few good options out there. Please check out the ‘Buying one’ tab on my page. 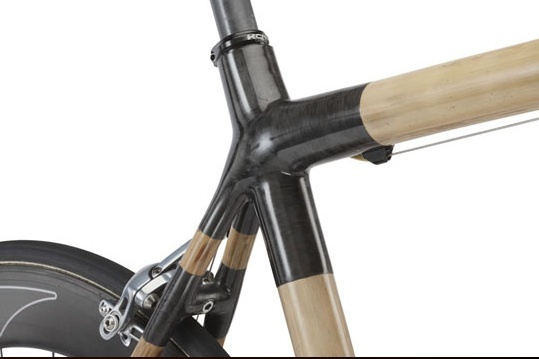 If you´d like to check us out, we specialize in Geared and fixie bamboo frames , we offer a three year warranty. We also are featuring a 10% Seasonal Discount. Visit our website or send us an email and will be thrilled to help you. http://www.bambolution.com , info@bambolution.com. Hello, Just looking for some information for my university project if you wouldn’t mind helping me out? I just need opinions for market research. 1. 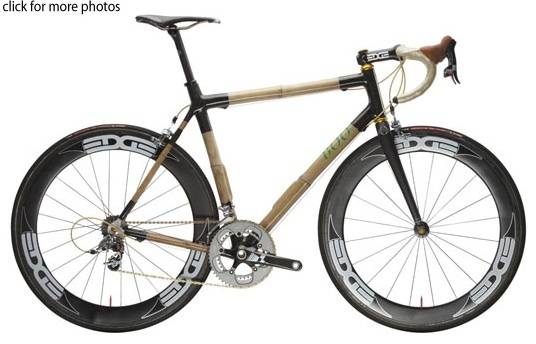 Is there any weather conditions that will damage a bike made from bamboo? 2. Can you/do you heat or steam bend the Bamboo? 3. What do you use to connect each part? 4. Are the wheels standard? 5. What would you say are the benefits of using bamboo? I want to buy a bamboo bicycle jig, can you get me the information ? Hi, just wondering why you don’t mention Bamboobee in this list. I just bought a frame kit from them (haven’t built yet). Their customer service was excellent. The packaging is really nice and includes a reusable jig made of MDF. One interesting thing I noticed while unpacking the kit is that the top tube, down tube, and seat tube have very thick walls because there are actually two layers – there is a smaller bamboo tube inserted and glued inside each of them presumably for reinforcement. It seems pretty flush so I would assume the inside of the outer bamboo and the outside of the smaller bamboo were machined smooth first. They end up with a wall thickness of about 8 to 12 mm thick, I guess it would be difficult to find natural bamboo that thick. The kit is made in China (it’s a good place to source bamboo anyway…) but the founder is Singaporean and the company is based in Singapore. I just think it would be nice to give some exposure to “craft bike” manufacturers that are not in the USA. I fell in love with the Panda Bike “the One”, am now ready to buy, and now they are nowhere to be found. Any suggestions?